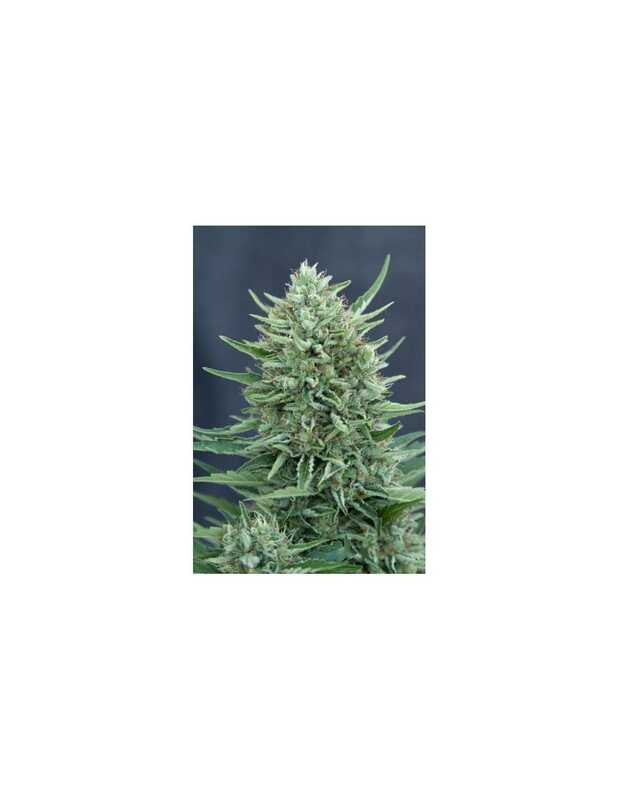 CBD Med Gom auto is the result of a long research and development process carried out by Grass-O-Matic and CBD Crew to obtain a high grade medicinal cannabis strain with the advantages of automatic flowering. All the seeds of MED GOM 1.0 will generate females plants with a minimum guaranteed content of Cannabidiol (CBD) of 4% and which are ready to harvest within 60/65 days from germination. THC and CBD ratio would be between 1:1 and 1:2 and depending of the growing conditions the cannabinoid contents may reach 10% of THC and 15% of CBD. 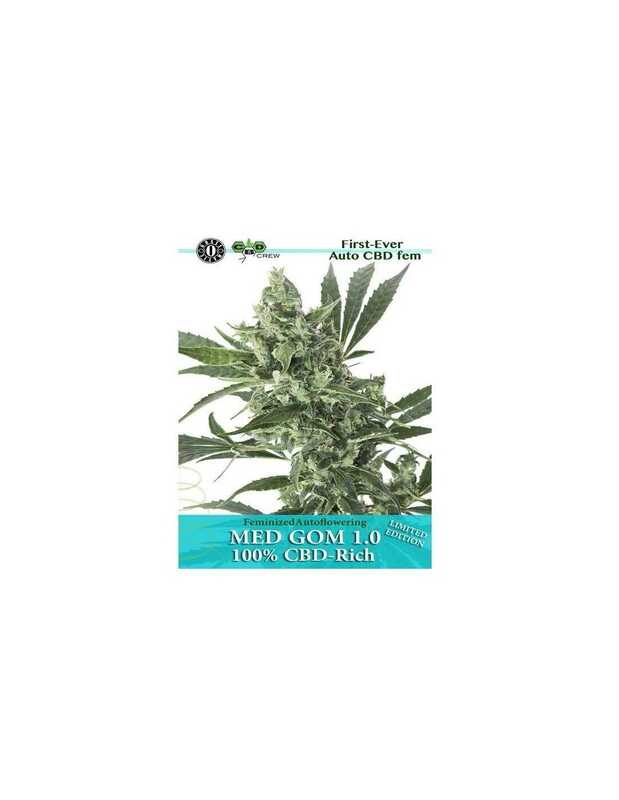 CBD Med Gom is usually medium size plant which rarely will grow over 1 meter tall, with compact buds completely frosted of sticky resin emanating an intense citrus aroma with spicy nuances. 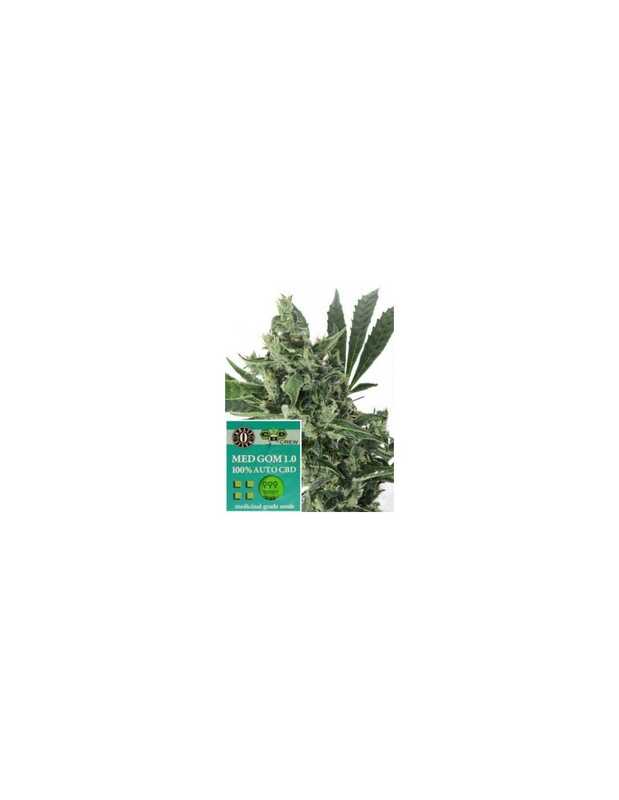 The grower can expect 25 - 50 gr per plant. CBD/THC and other cannabis active principles have recently generated a great interest for their therapeutic, curative and preventive effects.